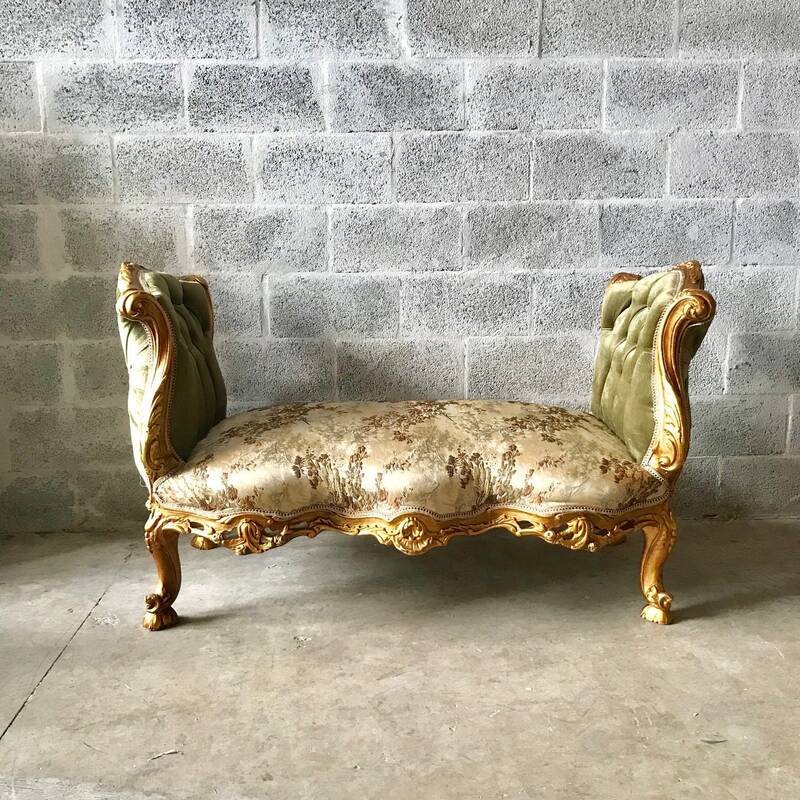 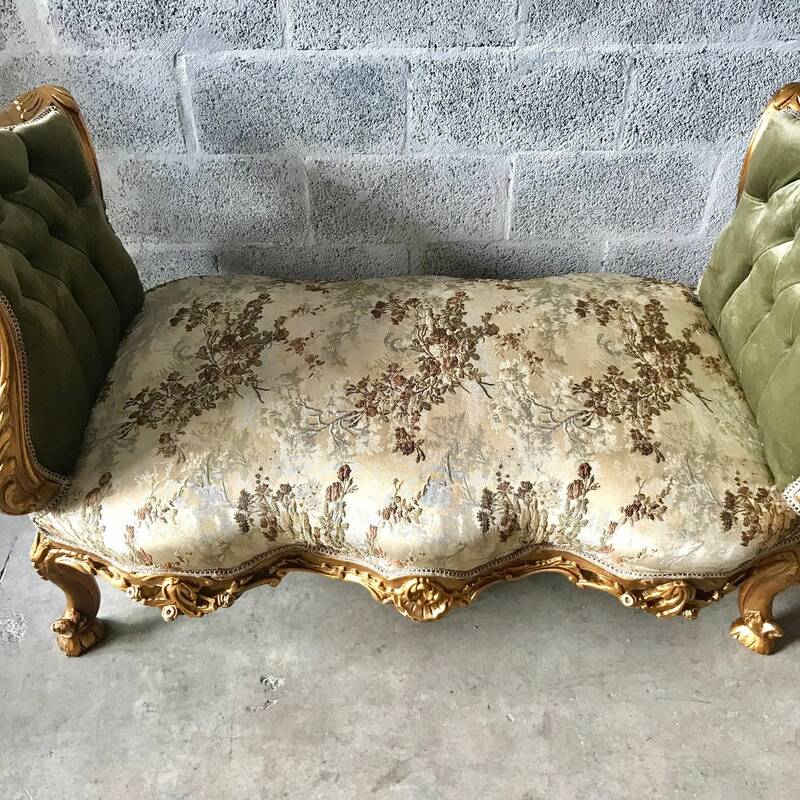 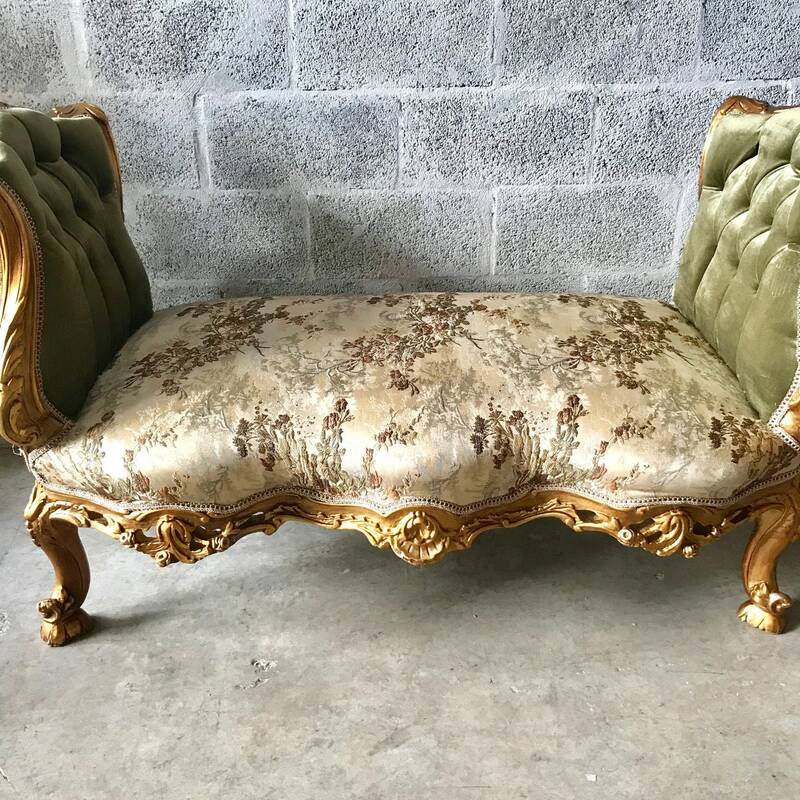 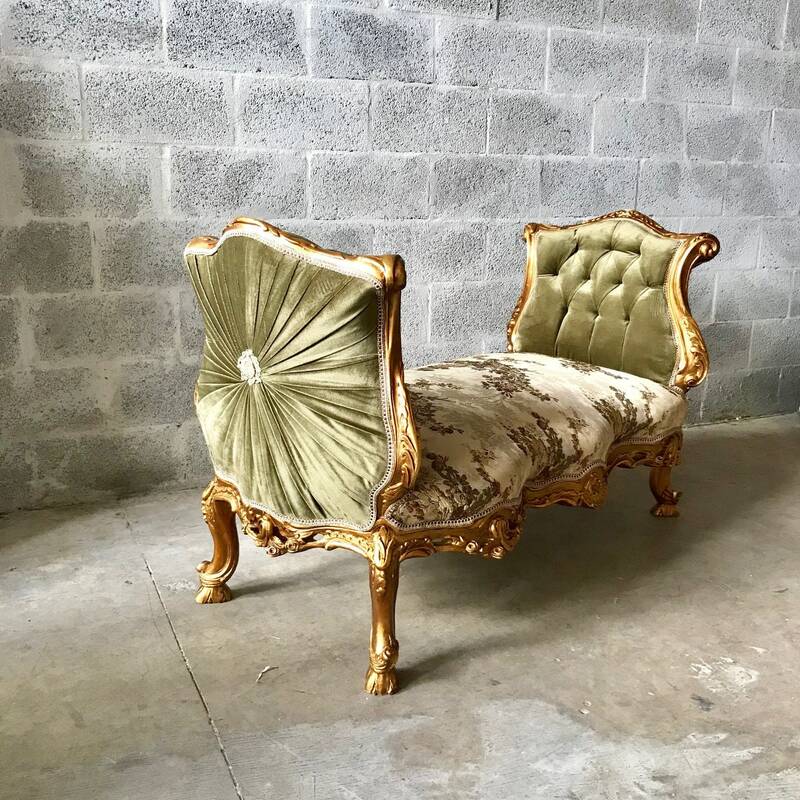 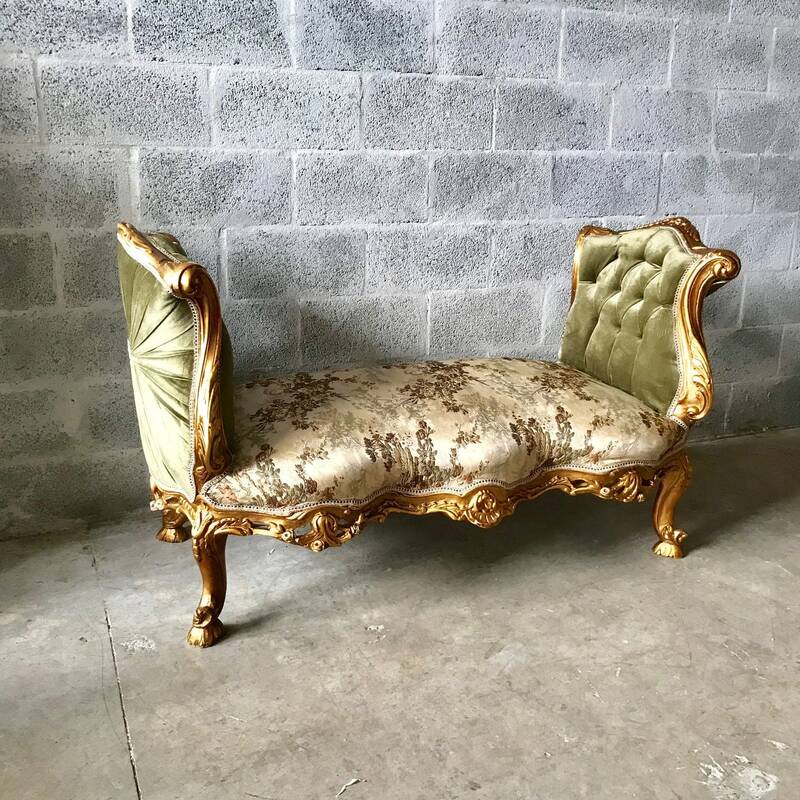 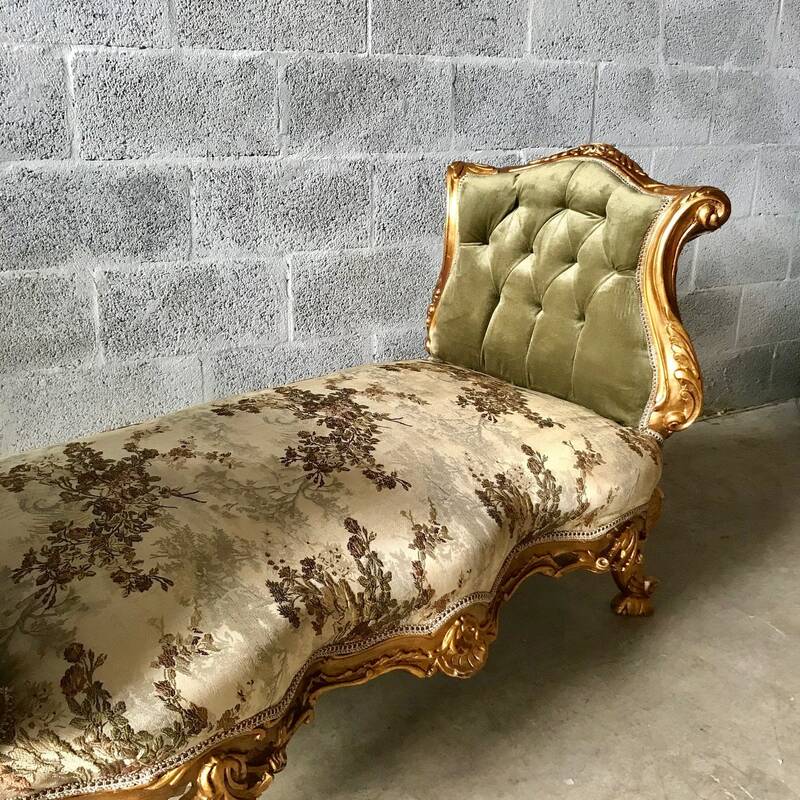 Lovely French Marquis fully refinished frame in gold leaf and reupholstered tufted using a pretty interesting mix of colors. 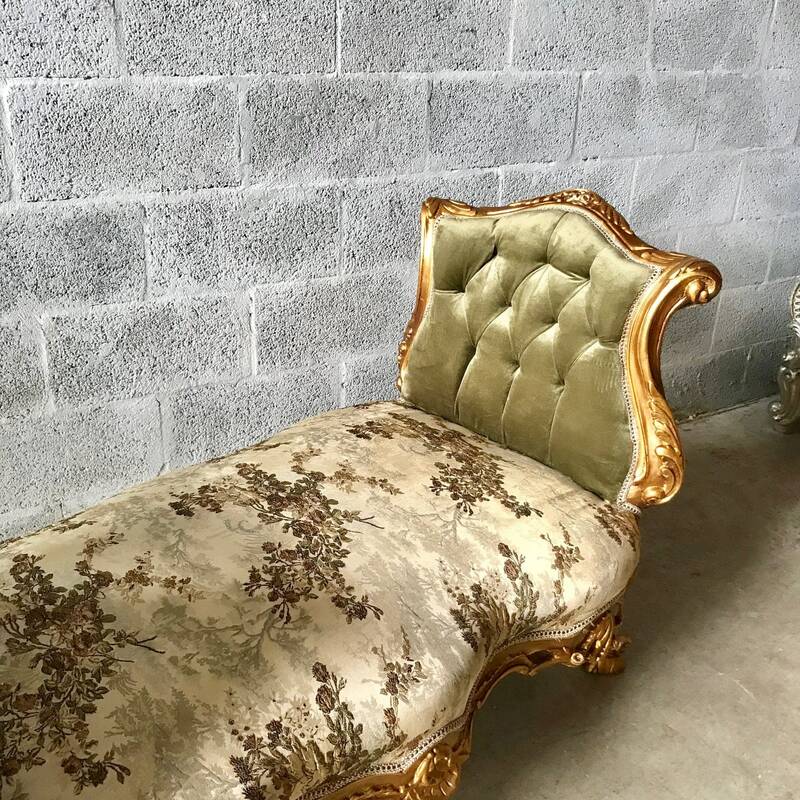 It has new padding. 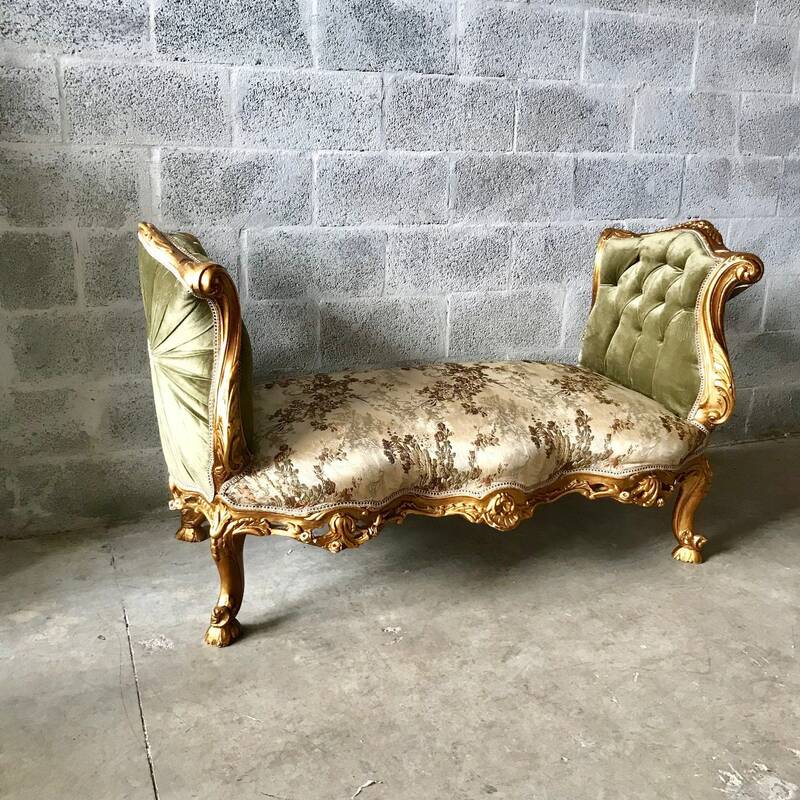 Heavy and sturdy ready for everyday use. 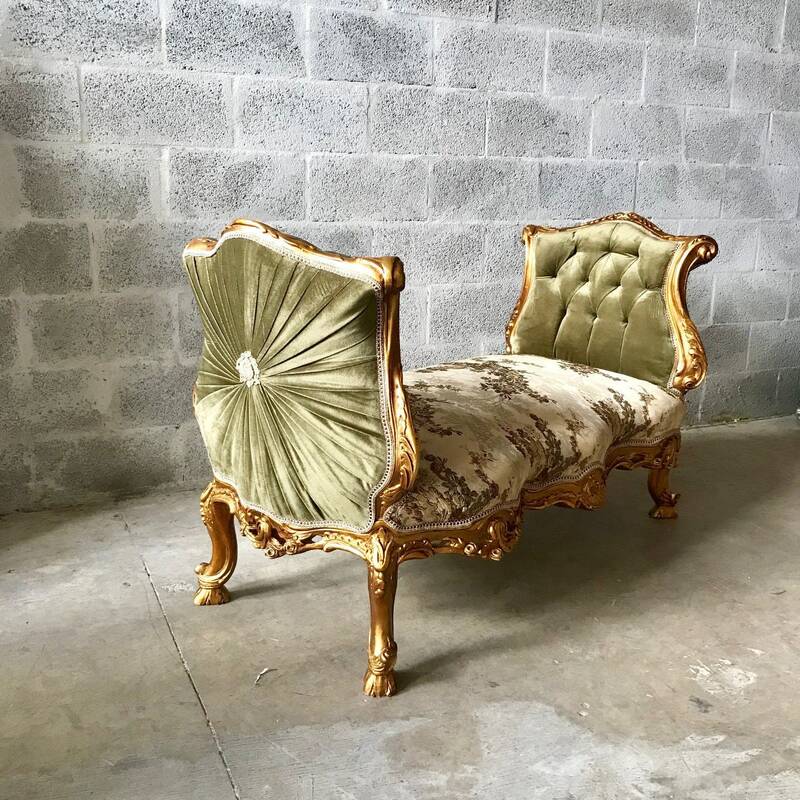 This is super nice and shows great craftsmanship.